A bilingual journey to Central America. Jaguars prowl, monkeys howl, and a sea turtle saves a fisherman in this delightful series of tales inspired by Arm-of-the-Sea’s travels in Central America. Criss-Crossing Borders/ Cruzando Fronteras incorporates a handmade style of visual storytelling to portray kinship ties between animals and humans, and between people living on opposite sides of a border. 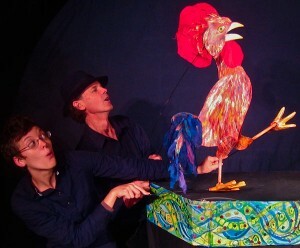 Originally developed in Panama through the Institute of Culture and the Smithsonian Tropical Research Institute, CRISS-CROSSING BORDERS is presented in Spanish and English by two performers. 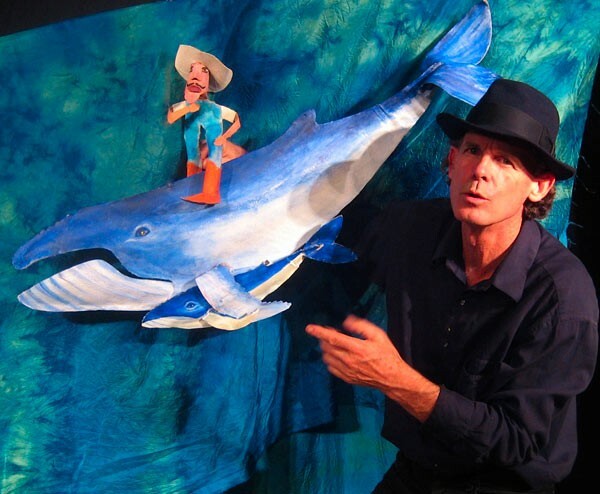 This “Suitcase Show” is designed for small venues and young audiences, ages 4-10. It has been performed extensively in libraries throughout lower New York State. You can view a short video from the show here. 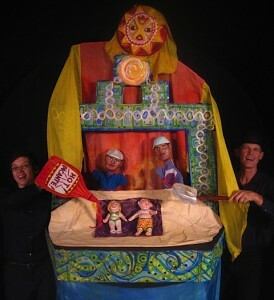 Production and presentation of Criss-Crossing Borders is made possible through the support of the Robert R. Chapman Fund and Community Foundations of the Hudson Valley; and by public funds from the New York State Council on the Arts, a state agency celebrating 50 years of building strong, creative communities in New York State’s 62 counties.